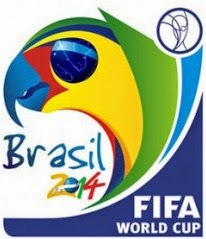 The World Cup is coming up; Thursday June 12 to Sunday July 13 and the host country is Brazil. Via Brasil Steakhouse in Las Vegas will be showing all of Brazil’s Games, as well as, many of those from the US, Spain, Argentina, Mexico, France, Italy and more, all on a 150” screen with full surround sound. Via Brasil Steakhouse in Summerlin of Las Vegas will be opening for the start of the World Cup, Thursday June 12 and then open for lunch Mondays, Tuesdays and Fridays from 12 pm on, as well as, Saturday Brunches starting at 12pm and Sunday Brunches at 10 am until the completion of the World Cup on July 13. Guests will enjoy great food and drink specials throughout the games.